Stucco Cracks Around Windows: How Much Is Okay? Over time, all homes and buildings show some signs of wear and tear. But how can you tell when “some” is really “too much”? When it comes to stucco cracks around windows, consulting a stucco expert like Ai Restoration is key to getting the right answer. Stucco Cracks Around Windows What’s Normal? It might sound strange to say, but some cracks in stucco are normal. Over time, hairline cracks smaller than ⅛ of an inch may form due to normal settling of a home. 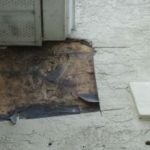 Stucco is a material that can expand and contract, … [Read more...] about Stucco Cracks Around Windows: How Much Is Okay?